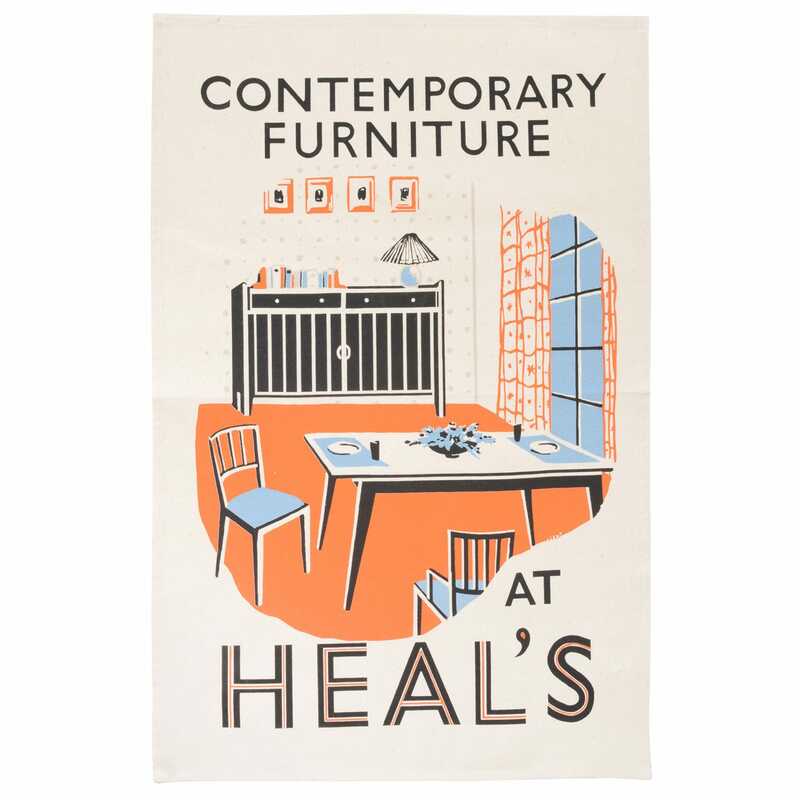 Add mid-century artwork to your walls with the Heal's Contemporary Furniture Framed Poster designed by Charles Feeney. . Beautifully reprinted in the original 1950's colour palette, this striking poster design is taken from the Heal's archive and matches a colourful scene of Scandinavian style interior with classic typography. Very cool tea towel, lovely print.